Fashion month has finally come to a close, and there was lots of good, bad, great and ugly on the runways. Below, Fashion Spot forum members review the collections they singled out as some of the best and worst in Paris this season. Click here for Part 1 of their Paris selections. Read our review and see images of the Chloé collection. Read our review and see images from the Givenchy collection. Read our review and see images from the Yves Saint Laurent collection. Read our review and see images from the John Galliano collection. 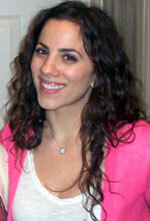 TheFashionSpot's Forum Buzz editor, Chrissy Makkas, has been a member and moderator of the tFS forums since early 2005. She regularly reports on hot topics and up-to-the-minute commentary from the forums, and highlights what trendsetting members are shopping for and wearing from week to week in her popular "What We Bought" and "Forum Street Style" features. You can find ChrissyM in the forums here.